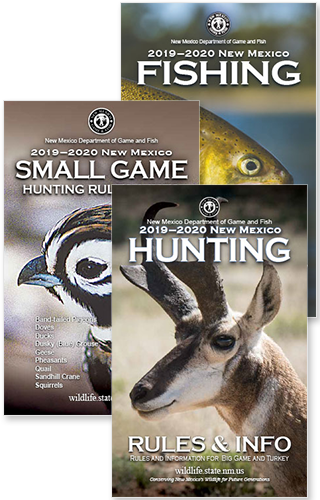 SANTA FE – Hunters who applied for New Mexico big-game licenses will know their draw results early this spring through to the Department of Game and Fish online license application system. At 10 a.m. today, the department began sending emails to successful applicants and posting draw results to customer accounts on the department website, two weeks earlier than expected. Unsuccessful applicants should receive refunds on credit cards beginning today and through their checking accounts within the next two weeks. The department received almost 190,000 applications for about 59,000 deer, elk, antelope, oryx, ibex, Barbary sheep and javelina licenses — an all-time application record and 8.3 percent increase over 2016. Hunters can check their draw results by logging onto their customer account on the department website, www.wildlife.state.nm.us beginning at 10 a.m. today. Results and assistance also will be available by phone at (888) 248-6866.